Pioneers in the industry, we offer milling cutters, face and side milling cutter and korloy milling cutters from India. 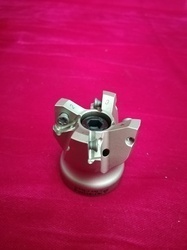 We are involved in offering a wide range of Milling Cutters. We are offering Face and Side Milling Cutters in Various diameters ranging from dia 8mm to 200mm. SDXT09M405, SDXT130508,WNMX09T316, SNMX1206,ONMX080608, ADKT1505,APMT11T3,APMT0602, APMT0903, XMKT0805 etc. We are involved in offering a wide range of Korloy Milling Cutters.